Canada may miss its environmental goals by a large margin, according to a projection from Environment and Climate Change Canada. The organization predicts that the amount of emissions that Canada is producing will increase through 2030, which runs counter to the country’s efforts to reduce the amount of emissions it is responsible for. Over the coming decades, emissions in Canada are likely to increase by as much as 5%, dealing a blow to the country’s efforts to fight climate change. According to Environment and Climate Change Canada, the country is expected to generate some 768 megatons of carbon emissions by 2020, and as much as 815 megatons of carbon emissions by 2030. The projection does not account for emissions produced within the forestry sector, so estimates may actually be higher than shown. In 2009, Canada began its fight against climate change in a serious fashion. The country had aimed to reduce emissions by 17% of what they had been in 2005 by 2020. Without focusing more heavily on this effort, however, the country is likely to fail. Catherine McKenna, Canada’s new minister of the environment and climate change, notes that the projection is troubling. McKenna claims that the data from Environment and Climate Change Canada shows that more work must be done in order to reduce emissions. While renewable energy is becoming more prominent in Canada, emission pricing initiatives may have more of an impact. The Canadian government is currently working to develop such initiatives in order to ensure that Provinces cut emissions effectively. 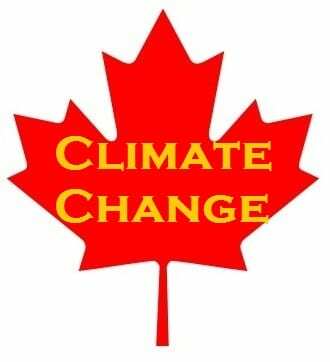 The projection from Environment and Climate Change Canada does not include the effect that government programs to fight climate change are having. These programs are likely having some degree of impact, allowing Canada to mitigate its production of harmful emissions. More work must be done for the country to find success in its fight against climate change, however.